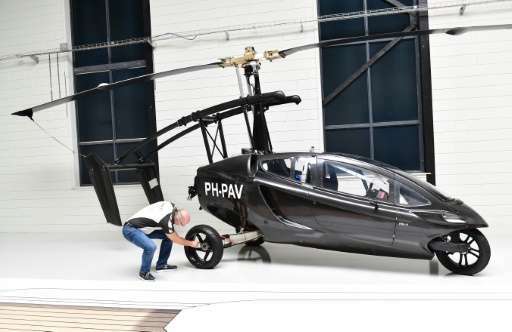 A prototype of a Dutch flying car at the headquarters of the PAL-V firm, which is aiming to deliver its first car in 2018. From "The Jetsons" to "Chitty Chitty Bang Bang", flying cars have long captured the imagination. 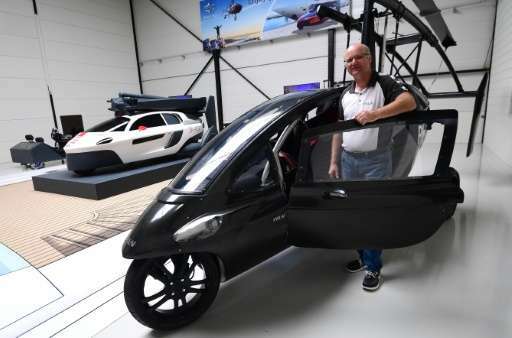 And they have incorporated into the car a 2005 breakthrough—when the Dutch company Carver invented a tilting system for three-wheelers—to counter the high centre of gravity and make it roadworthy. 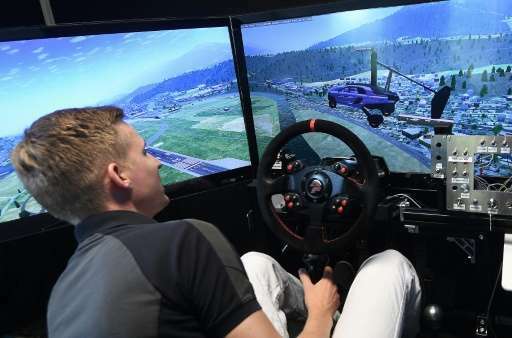 Maybe someday someone will build an actual flying car. This is a helicopter. We have lots of those. How do you define flying car? That is a flying car. Looks like you can drive it on the road, or it can fly around. Technically, it's a gyro copter.